Running through a central business district of Ohio’s largest city, the I-70/I-71 Interchange is a two-mile stretch of highway that has been going through a $1.5 billion, multi-year modernization that will reduce congestion, reduce crashes, increase aesthetics, and reduce the environmental impact of the interchange. Phase 2B of the project was to improve the quality of stormwater runoff coming from the interchange and separate the runoff from the City’s combined sewer. Phase 2B required treatment of 75 cfs of runoff. Treatment was to be provided by a manufacturer approved on ODOT's Qualified Products List for Manufactured Water Quality Structures. Contech is one of four approved manufacturers. This phase was treated similar to a design-build project, so no design pre-approvals were given by the design engineer or ODOT; it was up to the contractor and manufacturer to supply a solution that met project specifications. Challenges associated with the project included designing a system to fit within a predetermined footprint as well as determining the most cost-effective way to provide treatment in accordance with scaling for ODOT's treatment performance criteria. 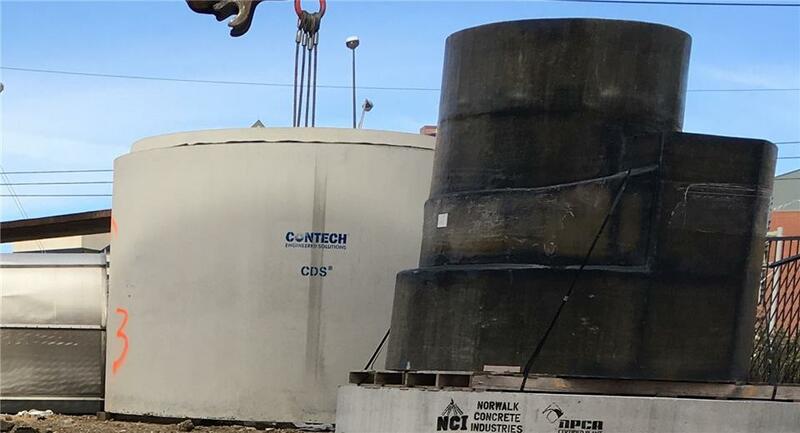 To meet all of these requirements Contech proposed a system consisting of four, 10-ft diameter CDS hydrodynamic separators. The CDS uses continuous deflective separation – a combination of swirl concentration and indirect screening to screen, separate and trap debris, sediment, and hydrocarbons from stormwater runoff. Each unit was approximately 25 feet deep. The flow was split to each unit by a precast diversion box. 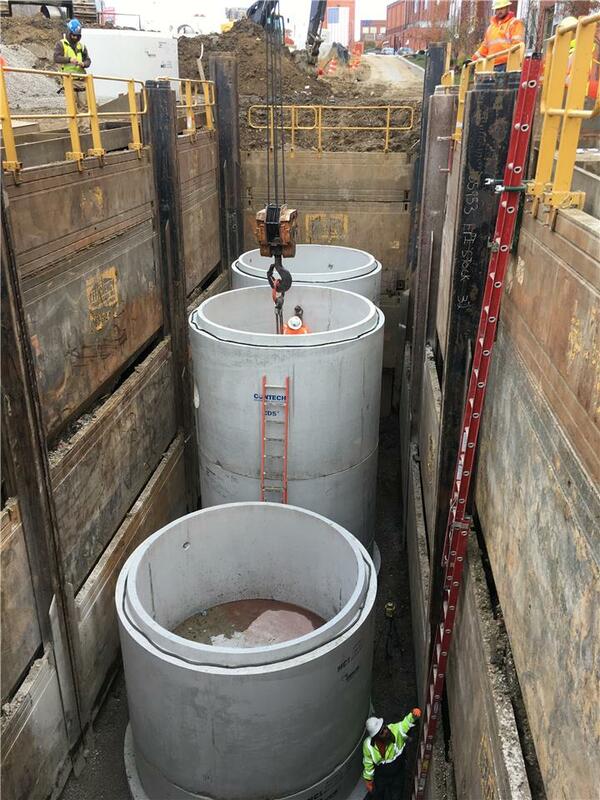 Treated flow from each unit discharges to a precast vault before being discharged to the storm conveyance system. Installation occurred in two phases: the CDS manhole sections and the internals. First, the CDS manholes were installed; each consisted of a base slab, three barrel/riser sections, and a top slab. The fiberglass internals and screen were then installed by a Contech representative. Contech provided installation oversite and guidance to the contractor throughout the entire installation process of the CDS units. Contech worked with all parties to meet financial requirements, provided a reliable system with ease of installation, and supported the contractors throughout the entire installation process.